The Calgary Flames have decided that later this season Jarome Iginla’s #12 will be raised to the rafters at the Scotiabank Saddledome on March 2nd, never to be worn again. Iginla announced his retirement as a player last June, after struggling through injuries for a year trying to get back on the ice. Though the Flames have had many of the NHL’s Hall of Fame talents come through their locker room, it is fitting that Iginla is next to receive the honor. There is perhaps no other player who embodies the franchise at this point more than him, despite not being involved in the organization’s lone Stanley Cup. Iginla is the franchise leader in games played (1,219), goals (525) and points (1,095) and served as the team captain for nine seasons—longer than any other player. 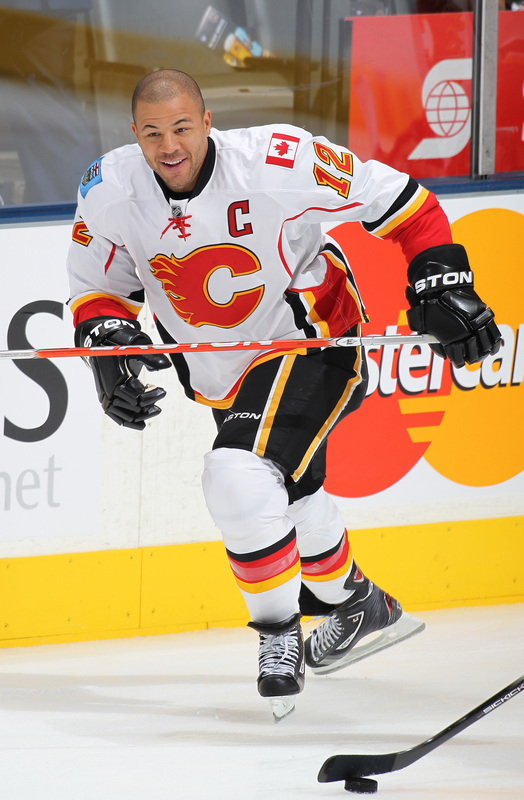 In 2003-2004, his first season as captain, Iginla would take the Flames all the way to the Stanley Cup Finals. After controversy surrounded a no-goal call in game six, the Flames would ultimately lose to the Tampa Bay Lightning and Iginla would never again get that close to an NHL championship. Despite never hoisting the league chalice, Iginla did plenty of winning during his long career. First in junior where he took the Kamloops Blazers twice to a Memorial Cup, and then on the international stage where he collected gold medals at the World Juniors, World Cup, World Championship and Olympics (twice). He would twice take home the Maurice Richard trophy as the NHL’s top goal scorer, and won both the Art Ross and Ted Lindsay trophies in 2002 as the league’s top scorer and peer-voted best player. 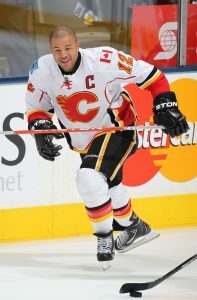 Iginla will surely be headed to the Hall of Fame when eligible, and will never watch another player wear #12 in Calgary. The Flames retired 30 for Vernon and 9 for MacDonald.